133 of womans milk and let it stand infused two or three houres then strain all through a cloth and with a feather drop it into ye eye thrice a day. 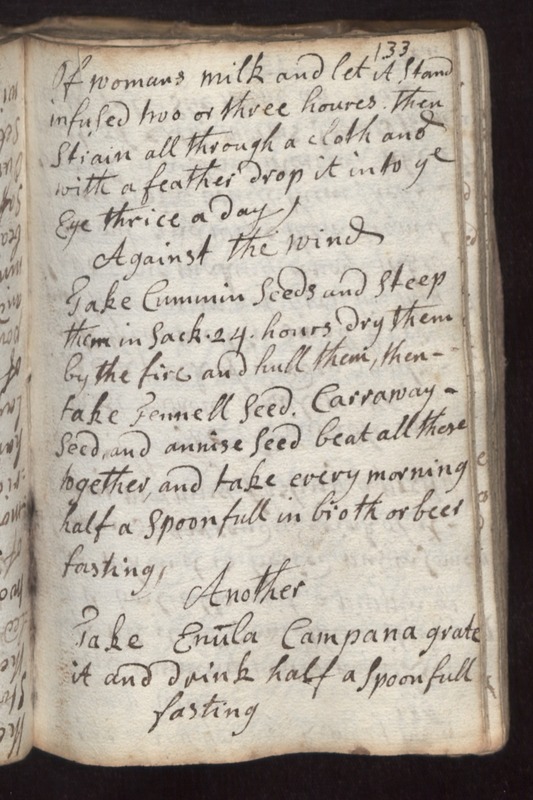 Against the Wind Take Cummin seeds and steep them in sack 24 hours dry them by the fire and hull them, then take fennell seed carraway seed and annise seed beat all these together and take every morning half a spoonfull in broth or beer fasting. Another Take Emila Campana grate it and drink half a spoonfull fasting.